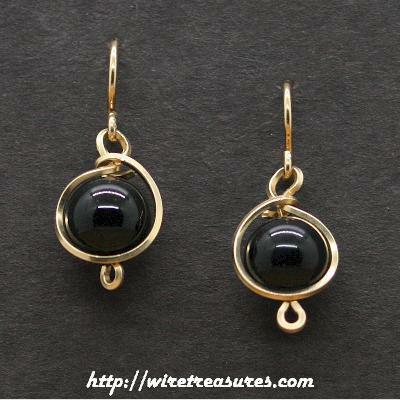 These earrings each have one Onyx bead wrapped in 14K Gold Filled wire. Just right for those women who like short earrings! You are visitor number 4,075 to this page.